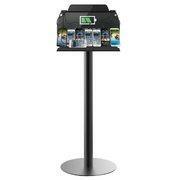 ULTIMATE CHARGING STATION - Charge 8 devices simultaneously without sacrificing charging speeds. FOUR (4) Micro USB, THREE (3) Apple 8-Pin, ONE (1) Apple 30-Pin. Does require a standard power outlet.